1. To make the sofrito, heat the water in a medium saucepan. Add the bell peppers, onion, and garlic and cook and stir for 5 minutes. If the mixture sticks, add a little more water. Stir in the turmeric, cumin, and salt. Cook on medium heat for 5 minutes longer. 2. To make the rice, bring the water and broth to a boil in a large saucepan. Add the rice, lower the heat, cover, and cook for 35 minutes, or until the rice is tender and all of the liquid has been absorbed. 3. 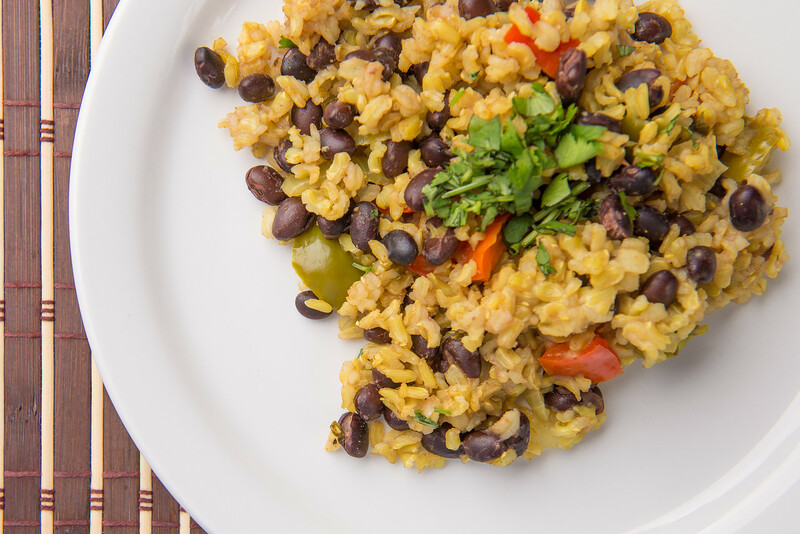 Add the beans and sofrito mixture to the rice and cook over low heat, stirring frequently, for 10 minutes. 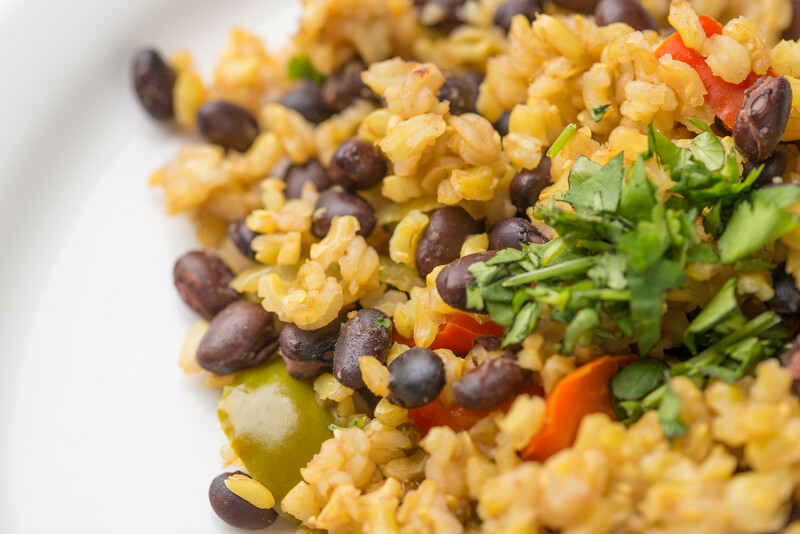 Stir in the optional cilantro and serve. 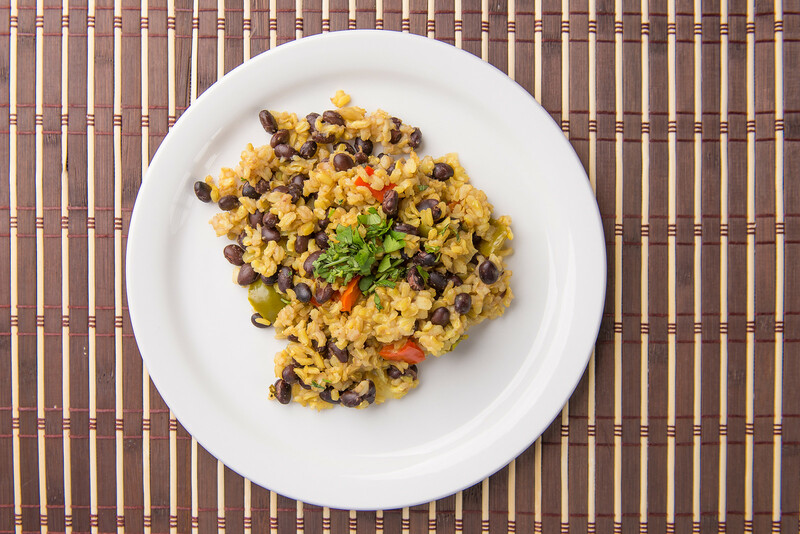 Note: Stored in a covered container in the refrigerator, leftover Brown Rice with Black Beans will keep for up to 3 days.